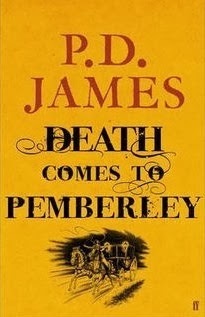 Midnyte Reader: Death Comes to Pemberly. 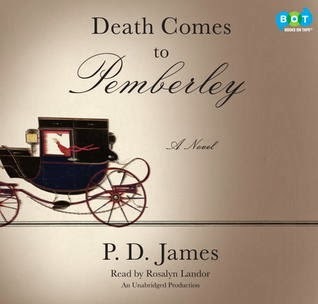 Title/Author: Death Comes to Pemberly by P.D. James. Synopsis: It is 1803, six years since Elizabeth and Darcy embarked on their life together at Pemberley, Darcy's magnificent estate. Their peaceful, orderly world seems almost unassailable. Elizabeth has found her footing as the chatelaine of the great house. They have two fine sons, Fitzwilliam and Charles. Elizabeth's sister Jane and her husband, Bingley, live nearby; her father visits often; there is optimistic talk about the prospects of marriage for Darcy's sister Georgiana. And preparations are under way for their much-anticipated annual autumn ball. Then, on the eve of the ball, the patrician idyll is shattered. A coach careens up the drive carrying Lydia, Elizabeth's disgraced sister, who with her husband, the very dubious Wickham, has been banned from Pemberley. She stumbles out of the carriage, hysterical, shrieking that Wickham has been murdered. 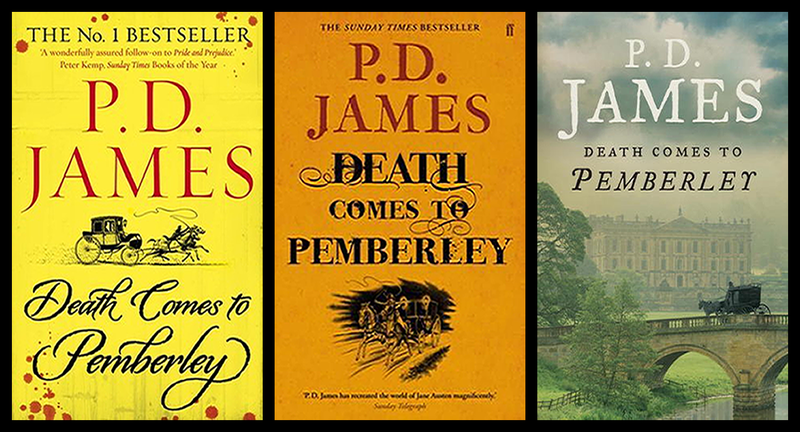 With shocking suddenness, Pemberley is plunged into a frightening mystery. This was a fun book to pass the time. It was familiar, I knew who the characters were, their backstories and their personality traits. I enjoyed learning more about the rules and day to day living during the Regency Period, such as how an estate is run, the roles of the staff and even some law. However, I was hoping for a more Gothic feel, more shrouded secrets and more scares. What I got was a murder mystery, a prime suspect and the rest felt like minute details. I think the major downfall of this book for me was the long "telling" expositions, either about the law in this era, which at times was interesting if it didn't go on too long and also the characters. I don't expect a book which is basically fanfiction to capture the sparkle of Elizabeth Bennet, but I was surprised and disappointed that there was nothing about her which made her the Lizzy I know and love. Jane felt like an extremely minor character and Lydia, who could have made for some great drama, appeared even less. The male characters also fell flat to me and could almost have been interchangeable. Also, while I appreciated the touches of recalling the events of Pride and Prejudice, a lot of it felt forced. I don't want you to think I hated this book, because I didn't. I just didn't love it either. It kind of fell in the middle of the road for me. Narration: I think Rosalyn Landor did a very good job with the female characters, but I couldn't get behind the male characters. 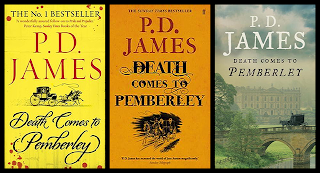 To Wrap it Up: Although I had some issues with Death Comes to Pemberly, the story and revisiting Austen's world was entertaining. I recently read a "sequel" to P^P by another author and to my surprise I enjoyed it. This sounds like a fun one. @Julie - It was still entertaining to listen to. @Felicia-I liked the narrator for the most part. I think I just love British accents. @Aurian-Do you know which sequel it was? @Karen-lol, exactly. Not exactly a waste of time, but if I didn't read it, I would probably always wonder.